The Phantom Comic Book Survey reached 500 completed surveys on 17 September 2012. So, to mark this numerical milestone, I thought I’d take a moment to share some brief statistical insights about Phantom “phans” from Australia, India and Sweden who’ve been kind enough to share their enjoyment of ‘The Ghost Who Walks’ with me for this project. The majority of respondents were male (84.5 per cent), while female “phans” comprised the remaining 15.5 per – which, based on anecdotal accounts, seems a much higher percentage of female readers than is usually found with most (American) ‘superhero’ comics. Most “phans” were aged between 18-35 years (39 per cent), followed by readers aged between 36-49 years (35 per cent) and 50-65 years (22%). Over 56 per cent of respondents first encountered the Phantom in comic books, followed by 24 per cent of “phans” who first read The Phantom comic strip in newspapers or magazines (Interestingly, 9 per cent of respondents said that a family member first introduced them to The Phantom). 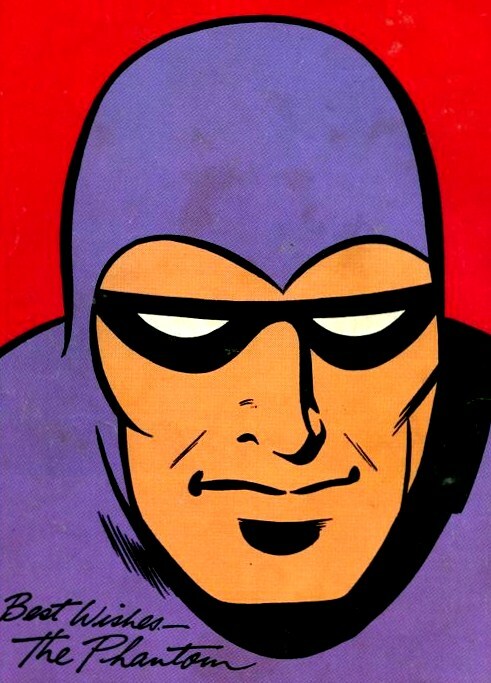 After their first exposure to the character, an overwhelming majority of readers (76 per cent) followed the Phantom’s adventures in other print media (i.e. after reading the newspaper comic-strip version, they began reading Phantom comic books), as well as other media formats, such as feature films and video/DVDs. Most “phans” (62 per cent) did read other comics in addition to The Phantom, while the same percentage (62) stated that they’d never joined a Phantom fan club in their respective countries. But 80 per cent of respondents did say they’d purchased Phantom merchandise, with clothing and stationery items being the most popular categories. And the most popular Phantom “phan” websites (in descending order) were Fantomen.org, The Deep Woods and ChronicleChamber.com. Now, I should stress that these are just some very basic, top-level, statistical observations, based on the completed surveys received thus far. There are a number of qualifications that should be made about this survey – like the fact that the survey is not (for administrative reasons) open to readers under 18 years of age – which mean that these findings should be treated with caution (The comparatively low response rate among Indian readers – an issue that I’ve canvassed on both ChronicleChamber.com and Phantom Phorum – may also inadvertently “skew” my final research findings) . There has also been a good deal of qualitative data generated by these surveys which I’ve not yet begun to analyse, which will hopefully furnish us with a more holistic picture about the international community of Phantom “phans”.